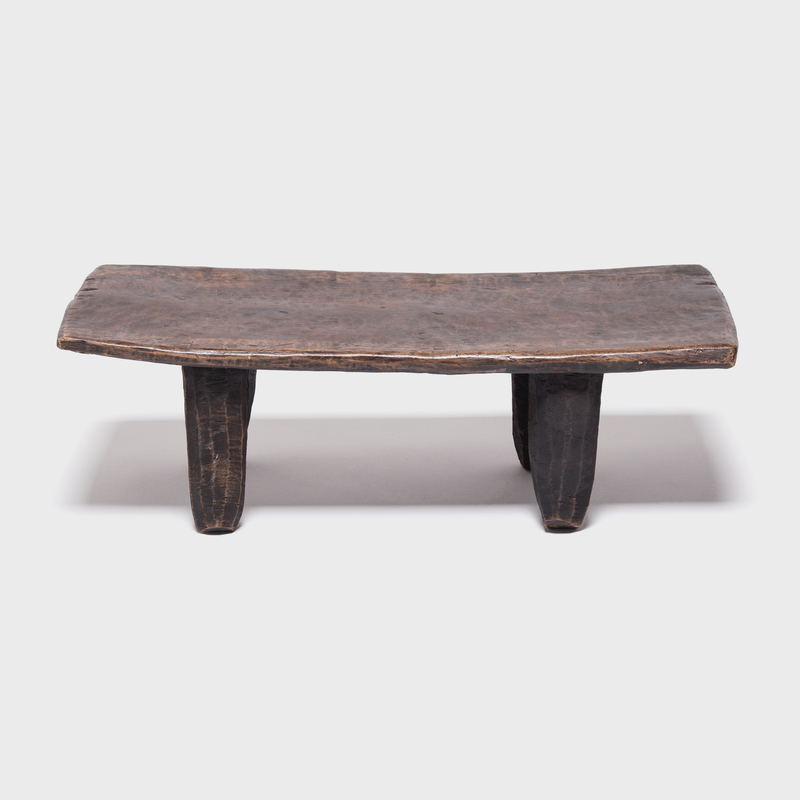 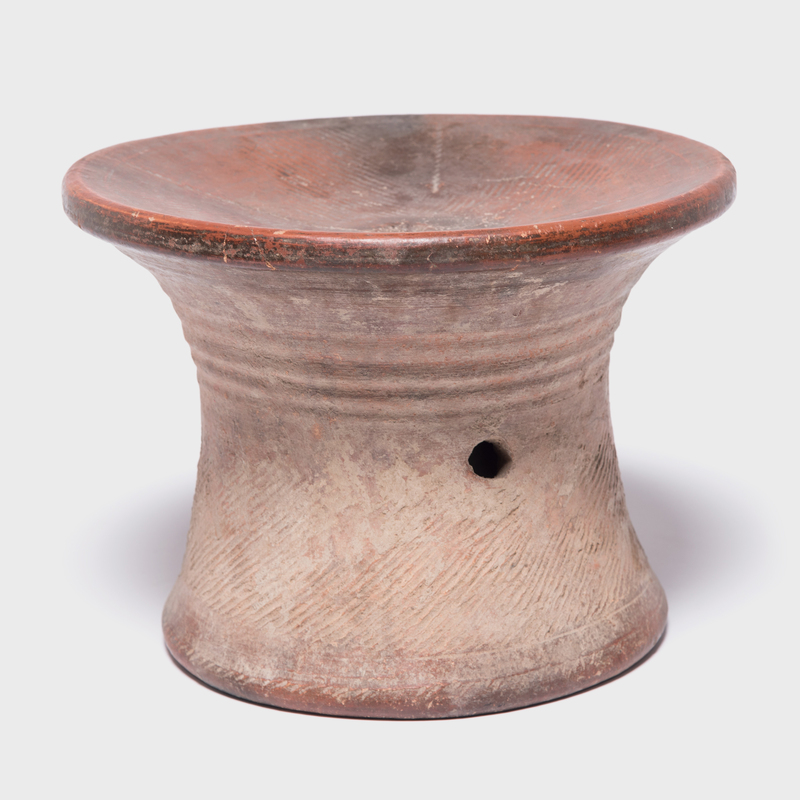 Called a tigué in the Bozo language, this ceramic stool was given as a gift to a new bride among the Niger River-dwelling people of Mali. 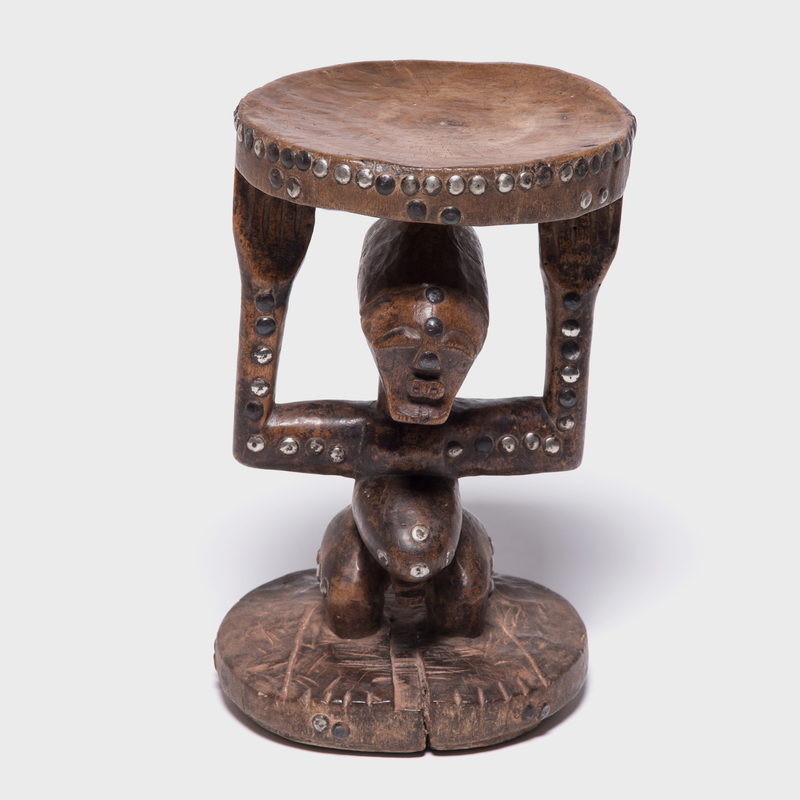 Seated on the stool upon arrival to her husband's home, the bride took pride in her gift, as well as comfort in its protective properties. 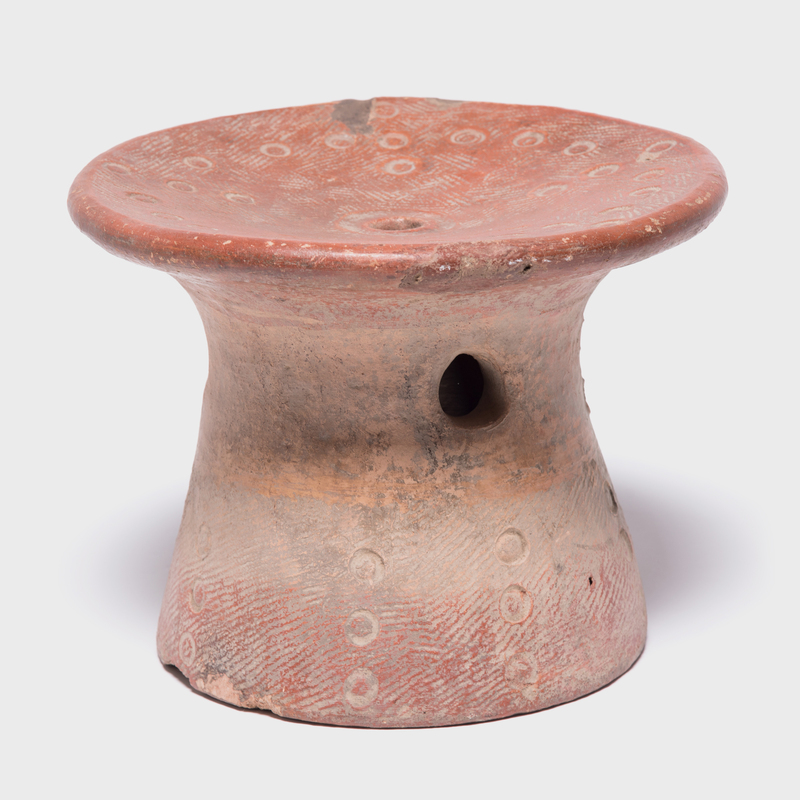 Shaped by hand from terracotta, this pedestal-shaped stool is decorated with ridged grooves and hatch marks, and painted with brick red and ochre pigments. 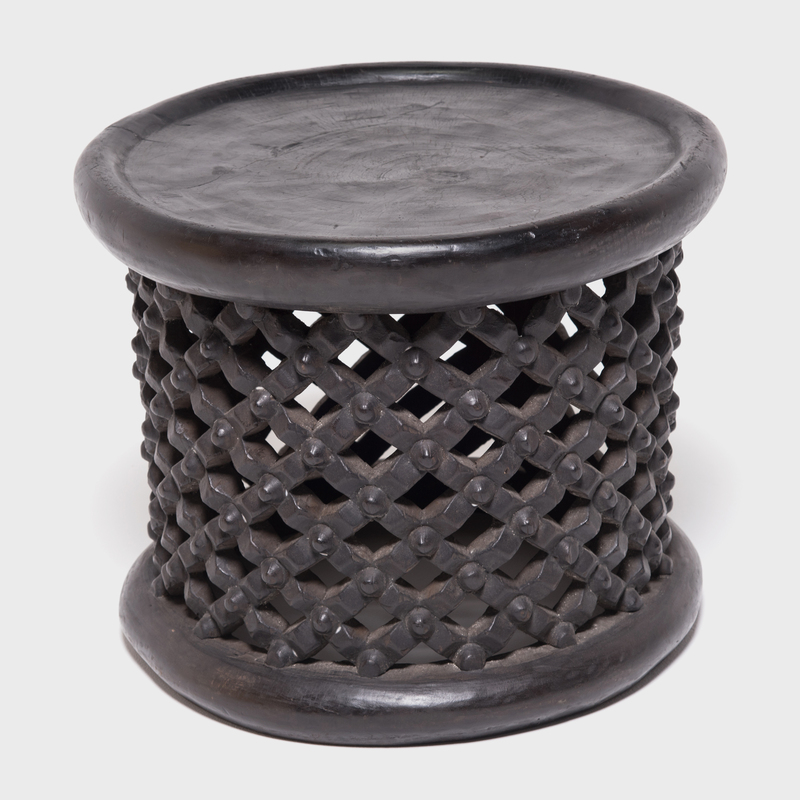 We love this stool’s expressive mushroom-like shape, abstract motifs, and the soft burnish that has developed over years of use.